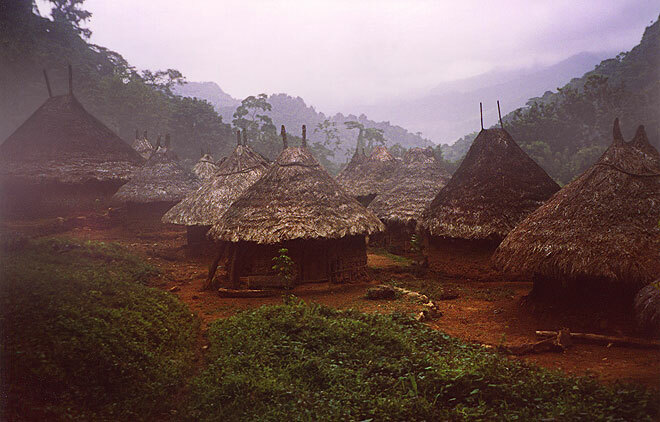 Coguí, Tayrona Village, Santa Marta. In the very middle of Latin America sits Colombia, the country that best encapsulates the spirit of the entire continent. It’s the only South American state with coasts on both the Pacific and Atlantic oceans and the only one connected by land to Central America. It’s an Andean nation, an Amazonian nation, a Caribbean nation, and a Pacific Rim nation. It’s territory includes beaches, jungles, deserts, alpine meadows, snowy peaks, and island archipelago. And if Colombia’s geography is a cross section of Latin America’s landscapes, Colombians are a cross section of Latin America’s people. 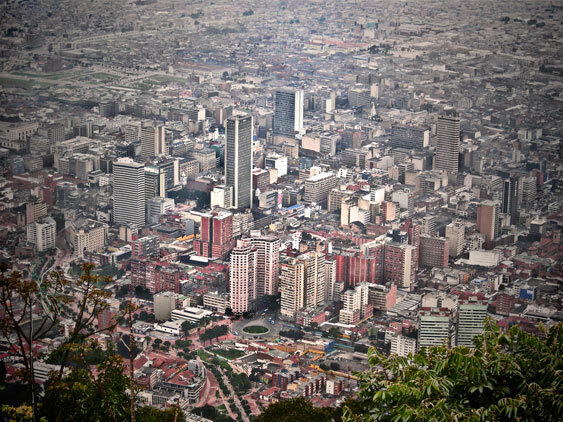 Bogotá, one of Latin America's great cities. In the big cities – especially in Bogotá – the European influence is reminiscent of Buenos Aires and parts of the Southern Cone. 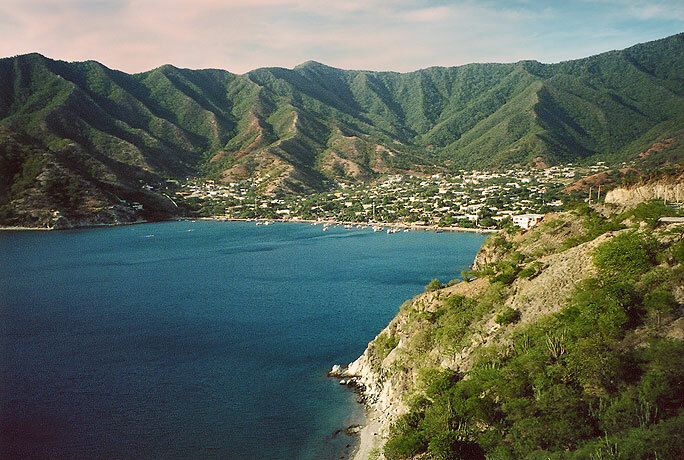 In the coastal north, the Afro-Caribbean culture will be familiar to travellers entering from Central America. In rural areas, including the Amazon, indigenous Colombians maintain the country’s most ancient languages and traditions, as they do in much of rural Latin America. About half of Colombians are mestizos, descended from native Americans and Spanish colonizers of the colonial period. Several land and sea crossings connect Colombia with Central and South America. The four I have taken are Paraguachón, Cúcuta, Ipiales, and Cartagena (by sea). Of these, the most rewarding and beautiful by far was the five-day boat trip from Panama to Cartagena, stopping in the San Blas archipelago. Crossing from the Ecuador border at Ipiales was busy but relatively uncomplicated. The Venezuelan crossings at Cúcuta and Paraguachón, however, were a bit dodgy and required more attention. Smooth, with wide shoulders (and so is the road, he-he). 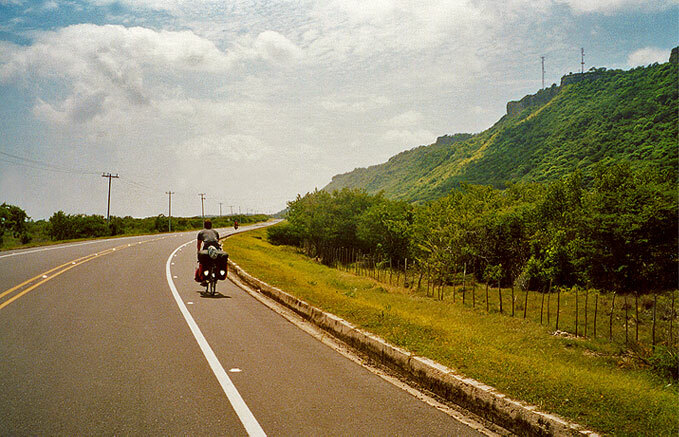 Me, riding from Cartagena to Barranquilla. Colombia will likely never live down its reputation as a troubled country. The civil war that began over half a century ago became hopelessly exacerbated by the United States’ meddling under the guise of their so-called war on drugs. Now, relentless stories of kidnappings, extortion, and murder have clouded people’s impression of Colombia and many travellers avoid it. But if you’re willing to see beyond the exaggerated headlines and drug war propaganda you’ll discover one of the hemisphere’s most diverse, beautiful, and overlooked countries; a true microcosm of Latin America. 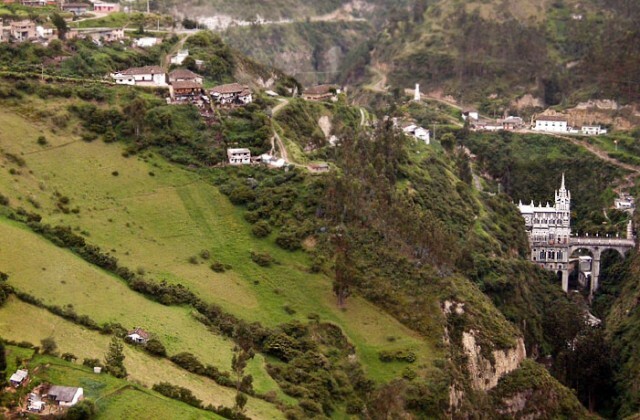 Feature image (top of page): Nariño department, Santuario de Las Lajas, lower right.